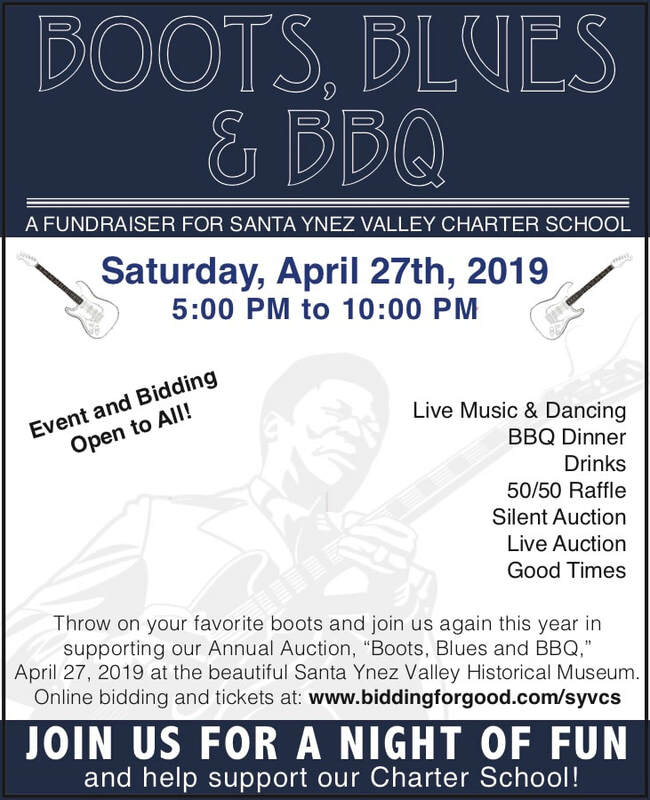 This year's Boots, Blues & BBQ fundraising event takes place Saturday, April 27 at the Santa Ynez Valley Museum & Carriage House. All are welcome! Tickets are $85 after April 1st with tables of 8 available at a discount. The event features live and silent auctions, dinner, bar and live music. All proceeds go to programs and materials that directly benefit our students. ​To view the Dinner Menu click here. We would greatly appreciate assistance with soliciting item donations, advertising and sponsorships. Please use the letter and donation form below to better enable you to respond to our auction committee, or to share with businesses and friends.